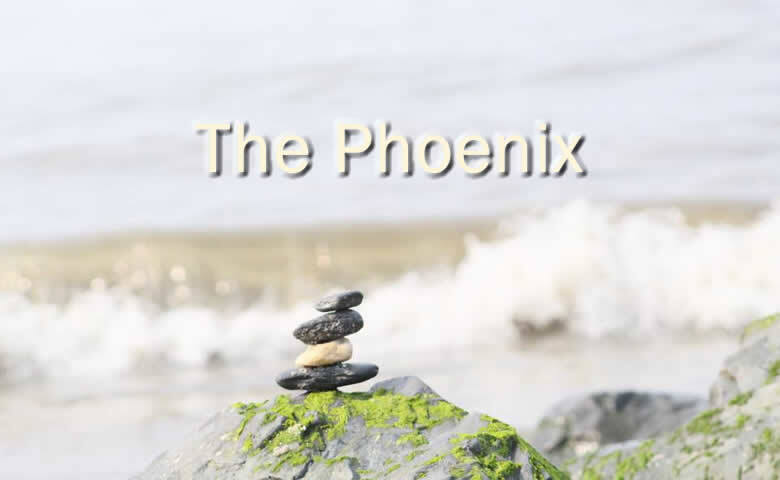 “The Phoenix” was written by Ric Albano on his birthday in 2004 as a symbolic allegory of his return to making recorded music with the new Imaginary Lines, after an 8 year hiatus from any studio work. The original recording in 2005 was made during a time when three interconnecting albums were planned for the project and thus it included an “intro trail” meant to be a link from the final song of the the third album. Those plans changed and instead an intro song called “Ashes” was recorded for Imaginary Lines 33 in 2008, featuring harmonized backing vocals by the late great Janet Rains. For the Nine Fine Lines version of “The Phoenix”, new lead vocals were recorded in 2016 and the “Ashes” intro section was combined to form one single track.